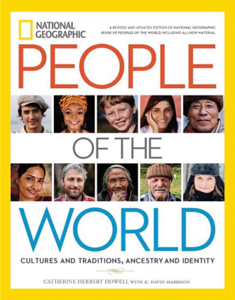 A dream come true, I was recently honored to have one of my photographs selected and published by National Geographic in the 2016 edition of their book "People of the World". The story of how this happened began in the summer of 2015 with a surprise email. In the message, I was told that editors from National Geographic discovered my photograph on my Flickr site through a keyword search for images to accompany articles profiling ethnic people groups from around the world. My initial reaction to the email was disbelief, assuming it to be a hoax. However, after noticing the list of National Geographic email addresses in the 'from' and 'copy' boxes I realized it may actually be legitimate. Still, given the context of the photograph, I was concerned over allowing it to be published. The subject is an indigenous Mixtec Indian woman captured in a moment of prayer to our Lord during a Christmas celebration deep in the mountains of Guerrero, Mexico. 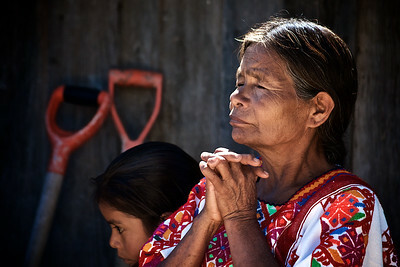 Christ followers are rare among the Mixtec tribal groups of Oaxaca and Guerrero states in Mexico. Persecution against them can be severe, especially as they live out their faith in their own communities. 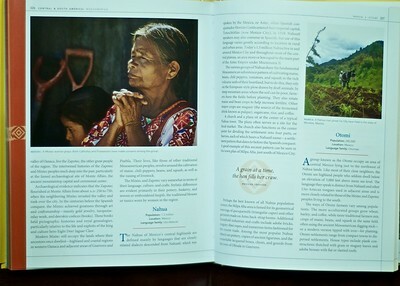 To be Mixtec and decide to follow Jesus is no trivial matter. So, before allowing National Geographic to use my photograph, I contacted missionary friends in Mexico who work with this church to ask for their blessing. Prepared to say no to National Geographic if necessary, I was pleased to get approval from my friends, and especially thrilled to received a copy of this remarkable book shortly after it went to print in October 2016.